Contract Packaging – Research Products, Inc.
Contract Packaging by Research Products, Inc.
We've got the resources to assist with your contract packaging needs. Research Products is set up to package, repackage, and transfer material from larger tanks to smaller packages. 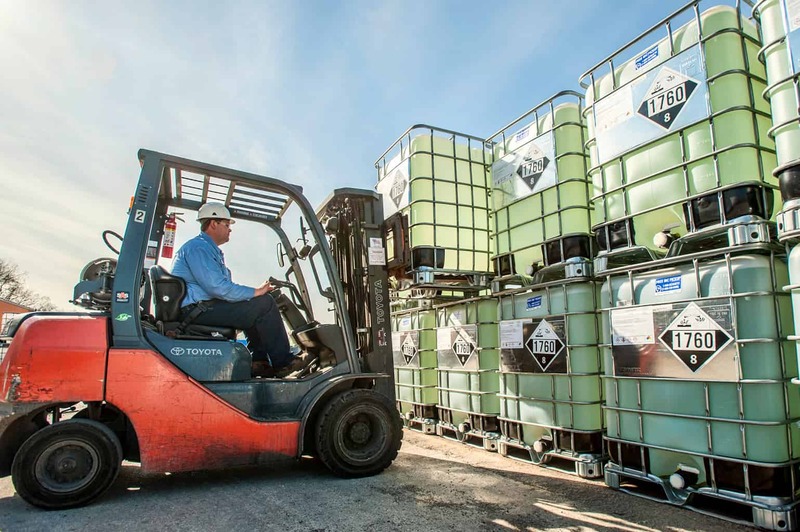 This includes transfers from trucks to totes, totes to drums, and drums to 5 gallon pails. We also can fill totes from drums and so on and so forth. Research Products is currently set up to handle all of your smaller quantities as well. This include filling 1 gallon containers and quart containers. Our packaging procedure includes, but is not limited to filling, boxing, and shipping to the final destination. This can be done several ways. Research products can provide the material and work off the customer's specifications or the customer can provide the material and we will fill the product for the customer. Research Products can handle hazardous products as well as non hazardous products. The hazardous products must first be approved and may incur extra set up costs.